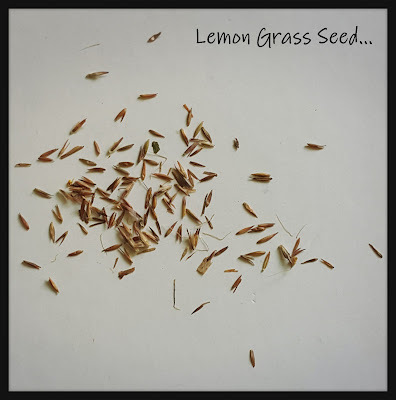 Lemon Grass is a very aromatic herb which has a wonderful lemony flavor and makes the dishes the best when combined with the correct spices. 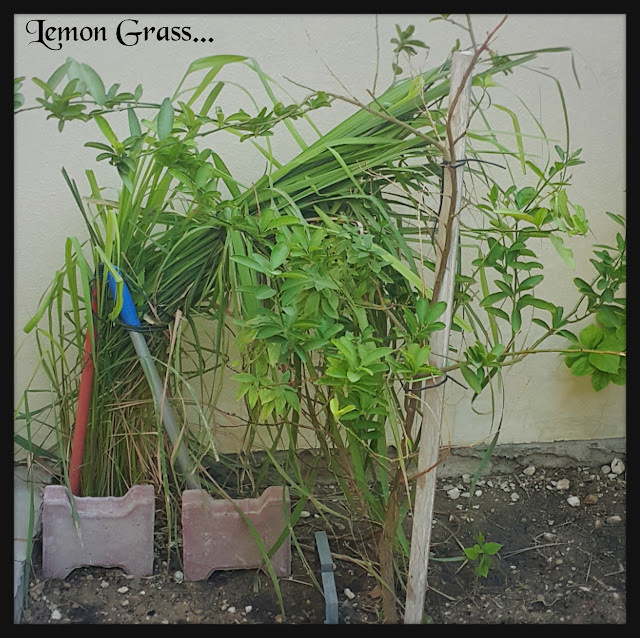 I have always had the love for lemon grass but was unable to fine them here in Doha. My hunt for them never ended, i even asked my friends who shop at different outlets, but none of them were able to get me the answer. Finally last year when i went to India for vacations i ordered thru Amazon. I was very excited to plant them and get hold of this wonderful plant. I don't have a very big gardening space and all, and the climate here is scorching... but even though all these factors i managed to grow them successfully and now i have a big bush of them. I have to mention that i don't use any kind of fertilizers in my garden and the only nutrition that my plants get are the kitchen waste compost. I use a large tin and keep adding the kitchen waste with soil layered alternatively. I keep watering the tin every alternate days and once the tin is filled with the layers i keep mixing them often for the waste to get mixed with the soil. So i think i can mention my garden as an organic. 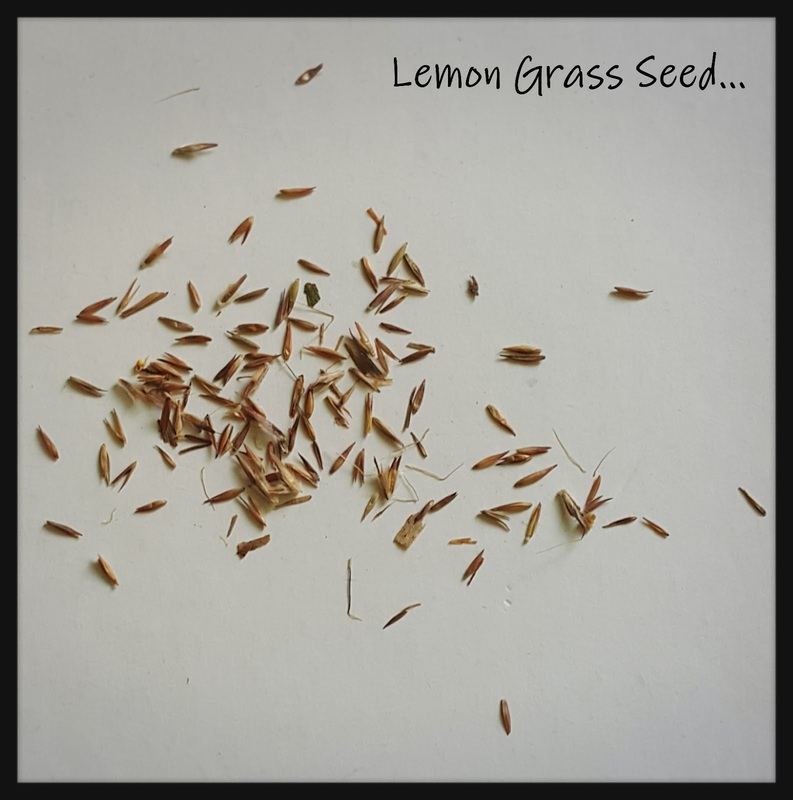 The above picture is the close up of the lemon grass seeds. They are much smaller than they look in the picture. For example they look smaller than the cumin seeds. So its really hard to plant single seeds. What you have to do is just take a pinch of the seeds and a handful of mud, mix both gently and then spread it in a pot of soil and mix lightly so the seeds don't fly away in the wind. Now its time to transfer them to the ground, gently lift the plant with the a spoon near the root so that you don't damage the roots. Make a small hole in the ground and place the plant with the soil and cover it firmly. Now comes the tricky part... watering yes you heard it correct... Watering is tricky till the plant grows into a stiff one coz the leaves and the plant gets damaged if the water is poured with force so make sure you water them with a cup and pour them directly near the roots. Slowly the plant starts growing into a big bush and at this time you may need to provide them some support as they tend to break due to the winds. The plant you see above is just from 3 small ones. They tend to grow side plants alot. As i don't add any fertilizers it took almost an year to reach this stage and they still will be growing more and the stalks will be thickening more to hold more flavor in them, but its ok to start using it now. For harvesting just use a sharp knife to cut the stalk leaving the root and 1 inch of the stalk, this will grow back again giving new leaves. 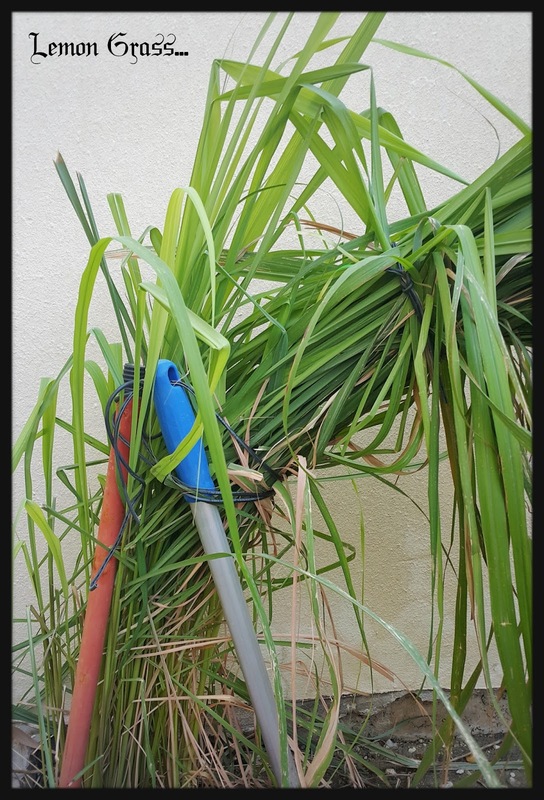 A lemon grass plant can be harvested 3 times. I recently made some Lemon Grass Tea and the recipe was so simple yet the aroma and flavor was refreshing. Hope i have covered all the points, if any doubts please do feel free to ask in the comments section.